Degree in Economics, Mathematics and Business Science. University of Karlstad, Sweden. Advanced Management Program 181. Harvard Business School, USA. Company Chairman Program. Universidad de los Andes, Colombia. Deputy General Manager of Life Business, Corporate Business and Clients Area (since October 2017). 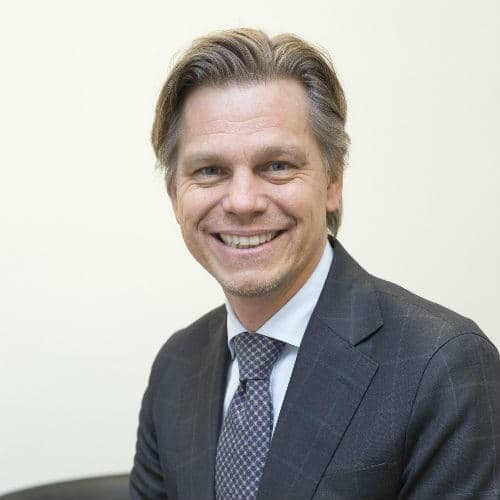 CEO Swedbank Forsakring AB Sweden and Chairman of the Boards of Swedbank Life Insurance SA and Swedbank P&C Insurance SA Estonia (2012-2017). CEO Skandia Leben Germany, CEO Skandia Leben Austria, CEO Skandia Leben Switzerland and Chairman of the Board of Skandia Zycie Poland (2009-2012). CFO Skandia Europe and Latin America (2003-2006).